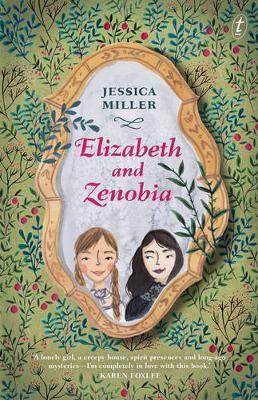 Timid Elizabeth and her unusual and fearless friend Zenobia arrive at Witheringe House, the old manor where Elizabeth's father and he beloved sister Tourmaline lived as children. Zenobia loves it-she's convinced it's haunted and is eager to make contact with a spirit presence. Elizabeth is relieved when her efforts seem to come to nothing. Jessica Miller is a children's writer and PhD student from Brisbane, currently living in Germany. She has written for a variety of publications including Kill Your Darlings and Stilts. Elizabeth and Zenobia is her first novel.